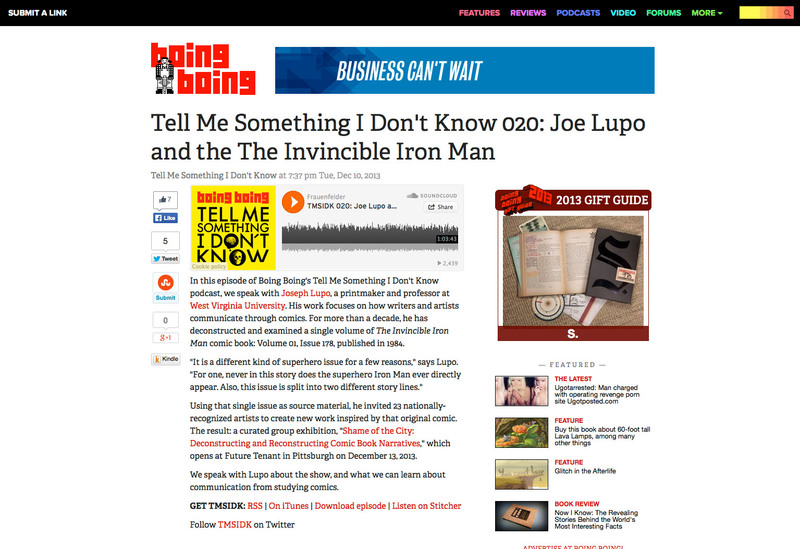 A few weeks back, I recorded an interview for the podcast “Tell Me Something I Don’t Know” hosted on BoingBoing.net. The podcast is hosted by Jim Rugg, Jasen Lex and Ed Piskor (although Ed wasn’t there at the time of my interview). We talked about the challenges of teaching, how technology is changing education and the accessibility of art, my work and the upcoming group show at Future Tenant. Thank you to Jim and Jasen for giving me the chance to share my ideas, it was a lot of fun!